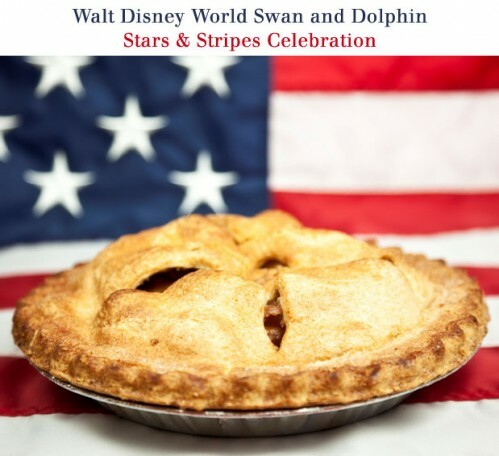 The Walt Disney World Swan and Dolphin resort will celebrate independence with a family-oriented, all-American Stars and Stripes Celebration! 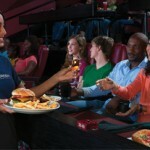 Imagine old-fashioned fun with a live band and carnival-like games as chefs create your family’s barbecue meal in the outdoor Fantasia Gardens Pavilion on Saturday, July 2, 2011 from 3:00 – 8:00 pm. 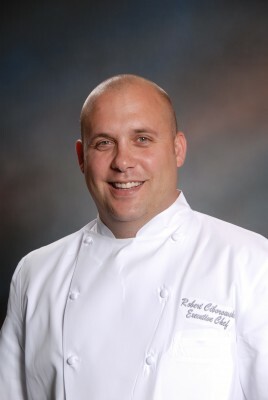 Luckily, we got the chance to speak with Chef Robert Ciborowski (a.k.a. 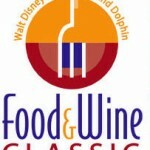 Chef Cib), the Executive Chef at WDW Swan and Dolphin, about the menu for the event! To capitalize on this summertime sense of barbecue, the menu will feature all-beef hot dogs, hamburgers, pulled pork and traditional BBQ chicken, as well as some incredible side dishes and desserts that are sure to make your mouth water! Chef Ciborowski elaborated on using the “eight-way” chicken for this dish, which is marinated overnight and lacquered in St. Louis-style BBQ sauce. The whole, bone-in chicken is continuously basted while grilling — the molasses in the sauce creates a beautiful caramelization. This barbecue technique “keeps the meat from drying out and imparts flavor,” says the Chef. 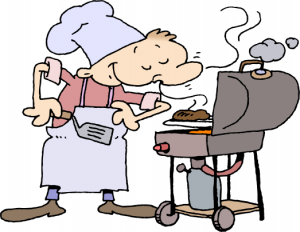 Chef Cib’s Smoke Shop is a fun Barbecue event offered during the summer for hotel guests and will be part of the July 2 barbecue as well! The shoulders will smoke at 185-224 degrees for 8-12 hours, then be shredded so that guests can create their own Carolina-style pulled pork sandwiches at the barbecue! Feast on side dishes including pickled veggies, traditional homemade coleslaw and potato salad, fresh watermelon, traditional corn bread and buttermilk biscuits (using shortening to give them an airy texture), and baked beans with molasses! How does Chef Ciborowski make Super mac and cheese? “Most people make macaroni and cheese with a milk-based cheese sauce — whole milk brought to a simmer, then velveeta whisked in. We make ours from a roux”. Using equal parts butter and flour, the Chef will whisk the cooled roux into the milk to make Bechamel sauce. He’ll add Gouda, white cheddar, and sharp yellow cheddar to complete the sauce. At the Mac and Cheese station, guests can take the opportunity to add the ingredients that they like: bacon, fresh English peas, and/or caramelized onions. Guests will savor pineapple upside down cake, pecan pie, cherry pie, and mini apple pies (“which hold ice cream better,” says Chef Cib!). 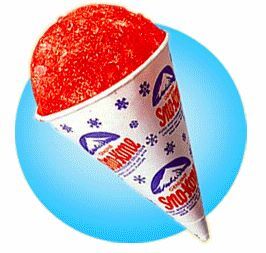 A sno cone machine will be the provide the perfect summertime treat for the kids! Chef Cib has created a new dessert for this event — Nitro Popcorn! “I love popcorn, but you don’t want something hot in the middle of the summer,” the Chef says. Sounds like fun? Here are the details! Purchase tickets for the event online. Guests of the WDW Swan and Dolphin resort as well as the general public are welcome. Tickets will also be offered the day of the Celebration. Call 888-828-8850 for information on special, all-inclusive, hotel packages available for this event. 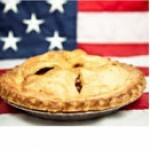 Take on the pie-eating contest or water balloon toss before stepping up to win prizes at classic carnival games such as Skee Ball, Bean Bag Toss, Ring Toss and more! There’s no additional cost to enjoy the live band, face painters, caricaturists, temporary airbrush tattoos and more interactive entertainment. 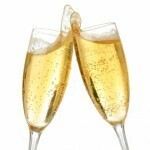 A cash bar with wine, beer buckets and specialty cocktails will be available. Sounds like a great deal and an incredible menu. I love the detailed descriptions of the ingredients and the techniques. I’m not even a caramel corn lover, but wow, that Nitro Popcorn sound amazing. Does Chef Cib oversee all of the dining at S&D or does he have a primary restaurant there? Pudge — Chef Cib is the Exec Chef for the resorts in total! It does sound fun, right? I’d love to try that Nitro Popcorn — especially if it melts in your mouth like that.